The Committee is a platform of Dutch scientists, policy-makers and practitioners. 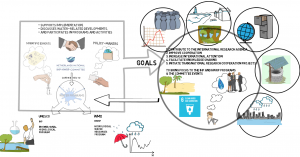 Since its establishment in 1964, it connects academic, operational, and research institutes and the three ministries focused on water. The Committee members are representatives of Ministries, knowledge institutes, research organisations and operational agencies with a strong research component. The Committee is supported by a Secretariat. Together, the Committee members define the Dutch position regarding the water programmes of UNESCO (IHP) and WMO (HWRP). 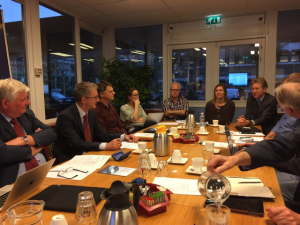 By bringing together Dutch expertise from different parts of the water sector, the Committee provides valuable input to the international networks of UNESCO and WMO. The Netherlands hosts two UNESCO Water Centres: IHE Delft Institute for Water Education and IGRAC for international groundwater resources assessments. IGRAC is also a WMO Centre. What is the Netherlands IHP-HWRP Committee? A number of working topics are established around IHP and HWRP related themes that are also areas of Dutch expertise. On this website you can find more information about the Committee´s activities, events and publications and get to know more about UNESCO-IHP and WMO-HWRP. Please feel free to contact the Secretariat if you are interested in a specific activity, get in touch with members and partners, or subscribe to the Committee newsletter!